The brand new training shoe from Nike is out now! 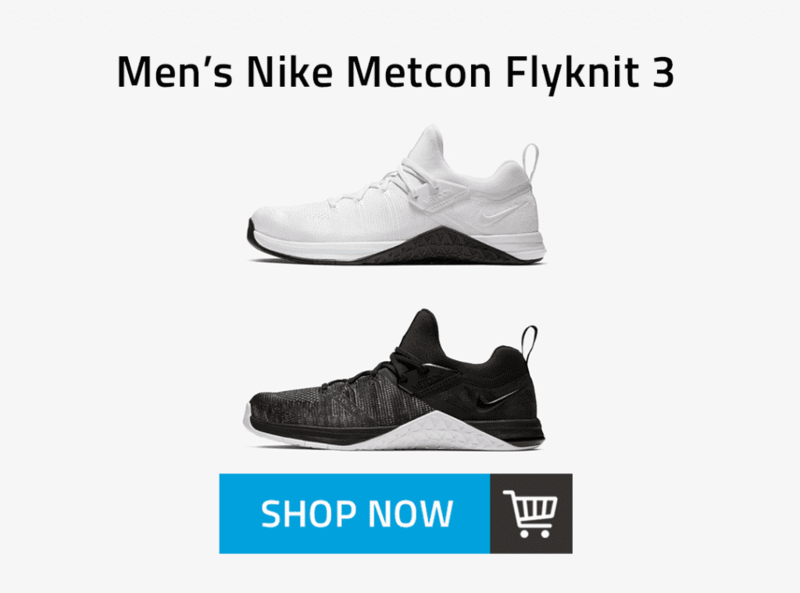 The Nike Metcon Flyknit 3 is built for stability for lifting, comfort, fast paced responsive movements and performance. 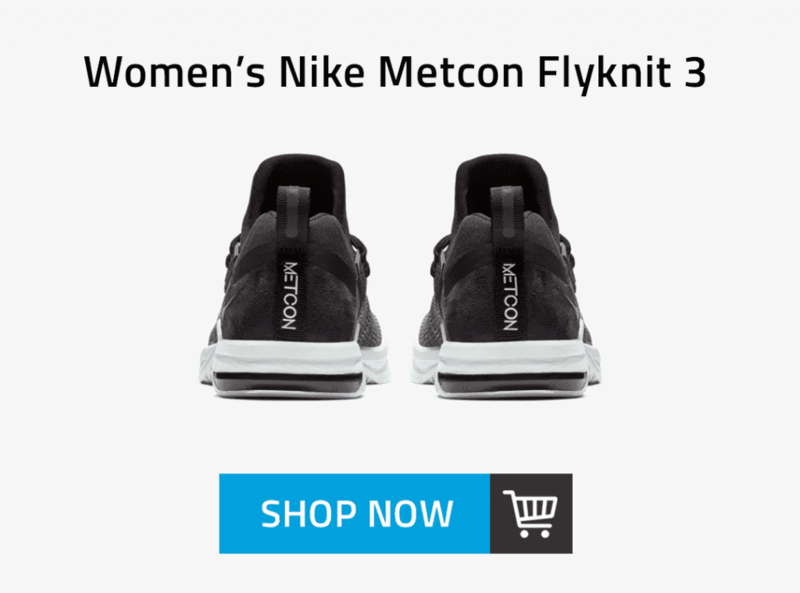 The Nike designers have revolutionised the style of the popular Nike Metcon Flyknit lineage by opting for a more minimal style for both the Female (link) and Male (link) editions. They have stripped back any unessential elements in order to concentrate on optimising performance, durability and comfort. First up for the the third edition are the TPU eyestays. They supported and locked down my ankle. The skin overlay on the side of the foot is well fitted without feeling stifling and supports rather that limits movement. It didn’t strangle my foot, rather it felt snug and complementary when I moved. One of the most distinguishing differences from the Nike Metcon Flyknit DSX 2 is the new bootie-like fit. This collar works in tandem with added cushioning in the ankle and provided a secure feeling for my heels. I found this especially useful during lunges and unilateral lower body work, as it helped to stabilise my feet for movements such as overhead kettlebell lunges. The cushioned drop-in midsole completes the fit for the entire footbed. The shoe features the addition of high-tenacity Nike Flyknit yarn in the forefoot, providing superior sturdiness for rope climbs, while the reinforced skin overlay on the toe gives added durability. The Nike Flyknit upper also yields flexibility and breathability. 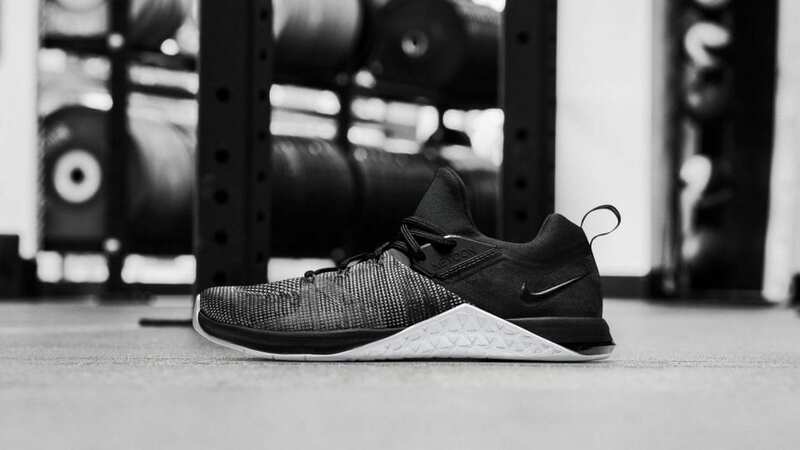 Personally I’ve always prefered Flyknit training shoes for general workouts (and switched into lifters for heavier barbell work) as I love the responsive support, comfort and breathability that they provide. 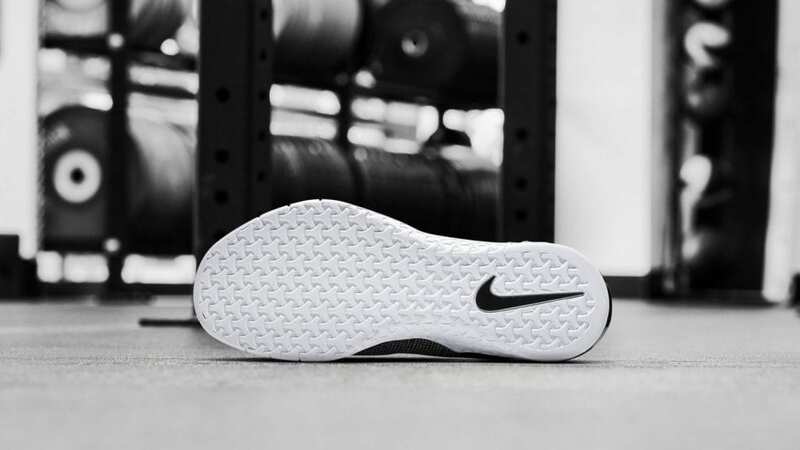 The sole is the same strong, stable and reliable design that can also be found on The Nike Metcon 4, ensuring superior grip for movements in every direction. The the rope wrap on the sole allows you to gain extra grip when rope climbing as well, hugely useful for when fatigue starts setting in during those longer workouts. Nike Flyknit technology has evolved over a four-year period of creative design and technological innovation. Programmers, engineers and designers have worked together to create the technology needed to make the knit upper with static properties for structure and durability. 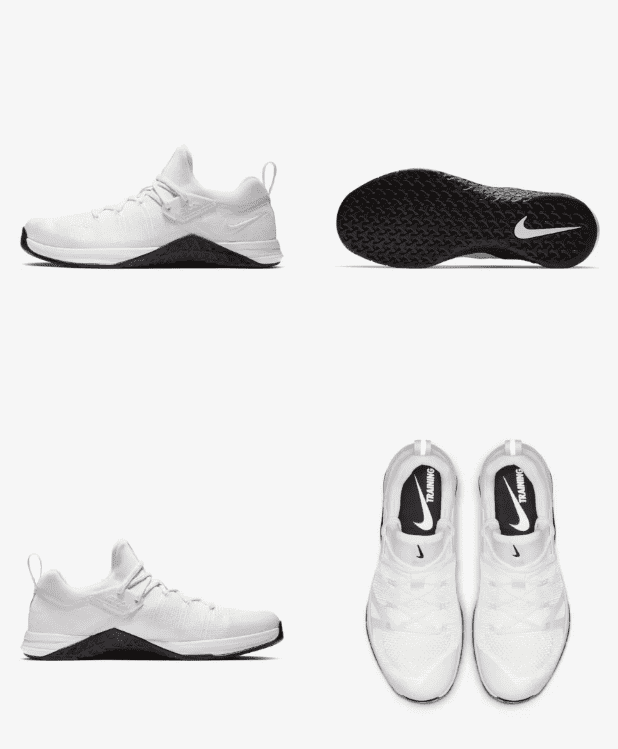 One of the primary goals was to create a fit that would be lightweight and completely revolutionise the way that the training shoe fits the athlete’s foot in order to provide superior performance and a sock like feel. 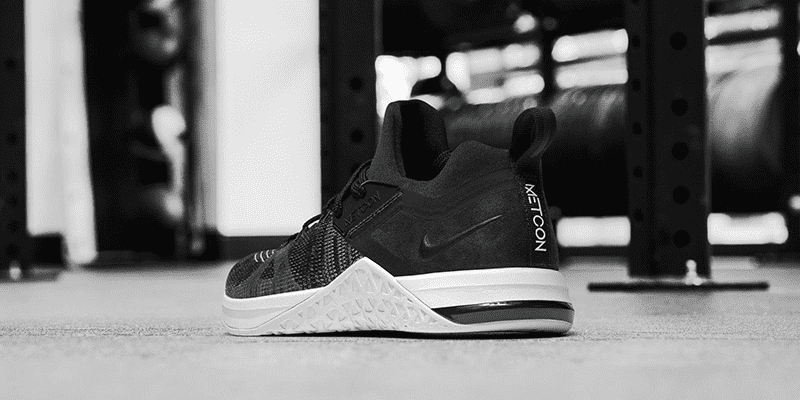 The Nike Metcon Flyknit 3 builds on this technical evolution with the added bootie-like construction. If you’ve never tried training in Flyknit Training Shoes, I found the result is best described as featherweight and form-fitting. The technology allowed me to move quicker and feel lighter on my feet in general, which translated really well into WODs, especially longer conditioning workouts.